If you are a parent to a younger child, there’s no doubt you’ve heard of the famous meals called Lunchables. Lunchables are an appealing way to serve lunch to kids all wrapped up in a neat — although pricey — package, ready to pop into a lunch box. Instead of shelling out money for Lunchables for your kids, consider making them yourself with just a few basic ingredients, a trip to the dollar store, and some imagination. The first thing you need to do when embarking on Lunchables-making is gathering all the things you will need. 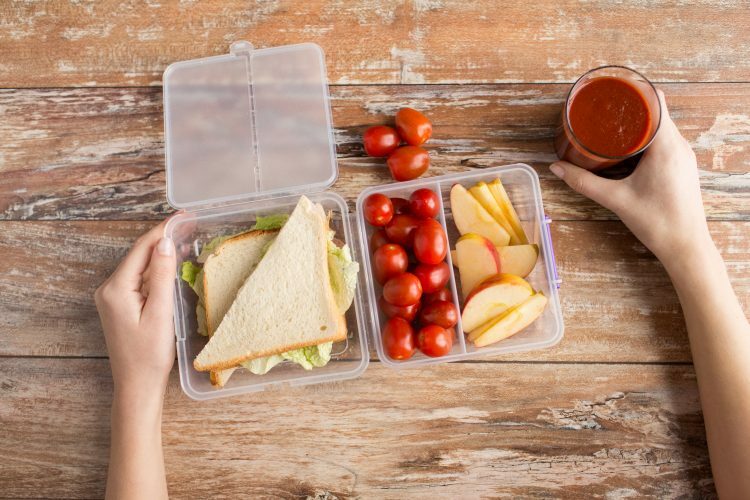 Aside from the food to put into Lunchables, you will need some containers to make it easier to transport and add to the fun. You can find an abundance of lunch containers designed specifically for making these types of lunches in great colors and even some with fun characters. You will need containers that have three or four sections to hold different ingredients. You may want to get a variety of shapes and sizes in order to fit a variety of lunches. You also can pick up some cute insulated lunch bags to put the Lunchables in once you’ve made them. The next thing you will need to do is stock up on some essential ingredients that you want to serve in your Lunchables. Things like round butter crackers, different sliced cheeses and lunchmeats, English muffins, pizza sauce, mini pepperoni, and anything else that you think your children will enjoy. Also pick up some small packaged dessert items and drink boxes. What awesome Lunchables don’t come with a drink and dessert? Next up is the fun part. Find out what your kids would like in their Lunchables and simply put it together. Traditionally, Lunchables include a combination of lunchmeat, crackers, and cheese that the kids can stack together. Some of the different types of combinations include turkey and cheddar, ham and Swiss, bologna and American cheese, and so on. Each of these is served with crackers. Take a slice of lunchmeat and a slice of cheese. Using a small round cookie cutter cut out the cheese and meat into circles until you have enough for your child. Place the meat, cheese, and crackers in the individual compartments in your containers. Add a juice box and a few cookies or other sweet snack and you’re all done. You also can make some of the more exciting Lunchables that include pizza that kids can put together themselves, or try tacos or nachos. For pizza Lunchables, you will need to pack one half of an English muffin, some pizza sauce, and some shredded mozzarella cheese in each of the compartments of the container. For tacos, use a large biscuit cutter or round cookie cutter to cut a few smaller circles from a flour tortilla. Put some cooked and chunked chicken in one compartment and some shredded cheddar in another. If your child likes it, you can also pack some salsa or taco sauce to add additional flavoring. Nachos are a cinch to make into a Lunchables meal. You can purchase the bite-sized tortilla chips and place them in a large section of a container. Place some nacho cheese sauce into another compartment, and some guacamole or salsa to serve on the side. You are only limited by your imagination and your child’s personal taste buds. Keep the kids excited about lunchtime every day and they surely will eat the healthy food that you pack for them.